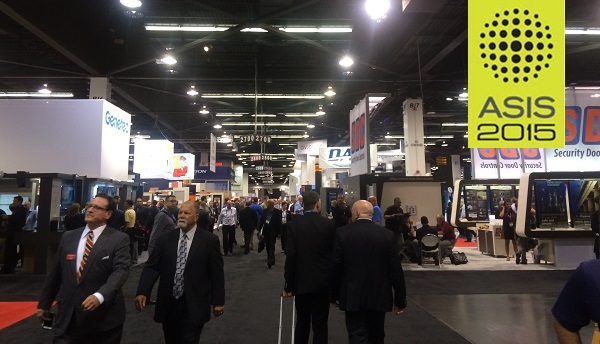 The Logic Supply team is in Anaheim California this week for the 61st annual ASIS International Conference. ASIS is one of the most comprehensive security shows in the world, bringing together professionals from every facet of the security industry to share and experience the latest security and surveillance technology. Logic Supply is on hand showing off our line of industrial Network Video Recorders and talking with attendees and other vendors about the latest trends in the physical security industry. Day 1 at ASIS 2015 was a whirlwind of meetings and introductions. In addition to a busy day at our own booth (#1275), where we spoke with attendees about our full range of security hardware, our new MX1000 is also being featured as part of the Milestone Systems Partner program at their booth (#3222). Our own Beth Hill spent the first day of ASIS at the Milestone booth, meeting security professionals in need of a rugged, in-vehicle NVR solution. 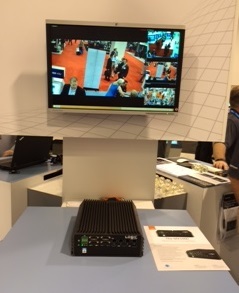 The world’s first Milestone Certified Rugged, In-Vehicle Network Video Recorder, the MX1000 is making waves at ASIS as transportation surveillance and in-vehicle security continue to be running themes of the event. Nearly half of the attendees we spoke to on day 1 were on the hunt for automotive technology, and one of the biggest topics of conversation was data offloading. With 3/4G data rates being largely cost prohibitive for most integrators, enabling efficient WiFi data dumps to centralized servers was a primary concern. Attendees we spoke with were interested in being able to easily connect in-vehicle devices to their network when they return to the terminal, station or garage to offload the day’s footage. Evolving networking technology and data transfer speeds were a big part of our conversations yesterday. We’ll be sharing our experiences at ASIS 2015 throughout the show here as well as on Twitter, so be sure to check back soon.